This program introduces the basic skills of basketball, soccer, t-ball, and various other sports. Children ages 2-5 years old learn and play in a fun and non-competitive environment. Each class will be packed with lots of fun and learning. The children will work on body awareness, flexibility, strength, basic concepts of different sports, and self-confidence. Each child will be challenged so that they accomplish their personal best. This is an adult-assisted class in which we will play and learn about basketball, soccer, t-ball, tennis, and gymnastics using fun games and activities. We transition from activity to activity quickly, keeping the children focused and engaged. 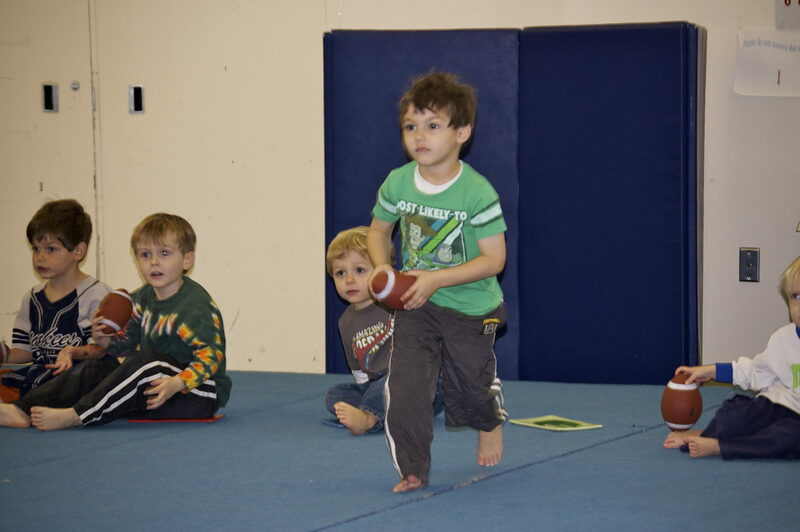 Children will practice basic sports skills, coordination, and fundamentals while having a great time. We will develop basic skills associated with various sports. The children are taught in a fun, recreational, and non-competitive atmosphere. Each class is filled with a variety of age appropriate and hands on learning experiences. This class is a combination of J-Sports and Leaping Lemurs. 30 minutes is spent learning the basics of a variety of sports while the other 30 minutes is spent learning the basics of gymnastics. We step up the games and activities used in 3-4’s class to keep up with growing abilities and energy. More advanced exercises are employed to develop basic sports skills such as throwing and kicking with accuracy, catching, and passing – building upon rudimentary skills. J-Sports provides excellent preparation for team sports.